For starters, the cocktail cart actually has sober origins. 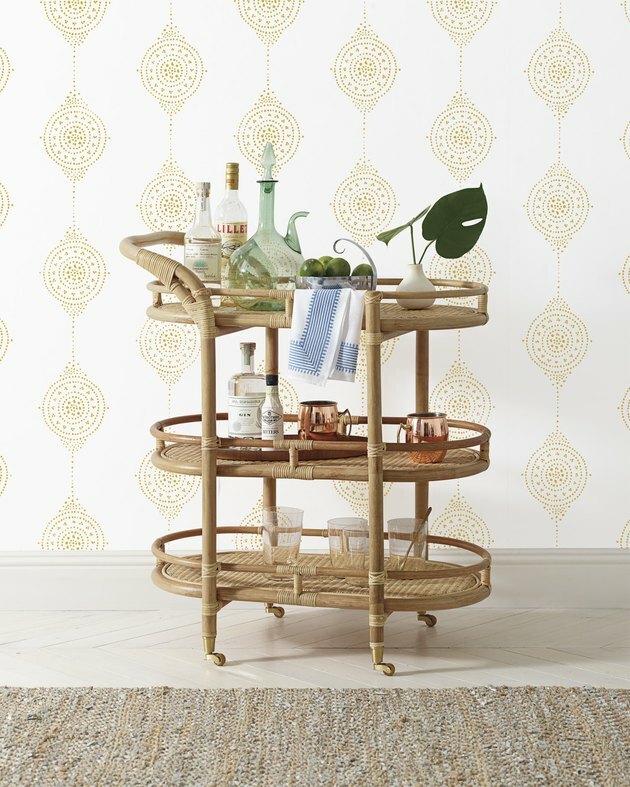 It was first popularized during the prim and proper Victorian era of the late-1800s, known then as a "tea trolley." Ladies of a certain class would spend their days at home, busying themselves by crocheting lace or doing macrame, and come tea time, the trolley would be wheeled in to deliver hot Earl Grey or English Breakfast, plus biscuits, crustless sandwiches, or some ho-hum snack. 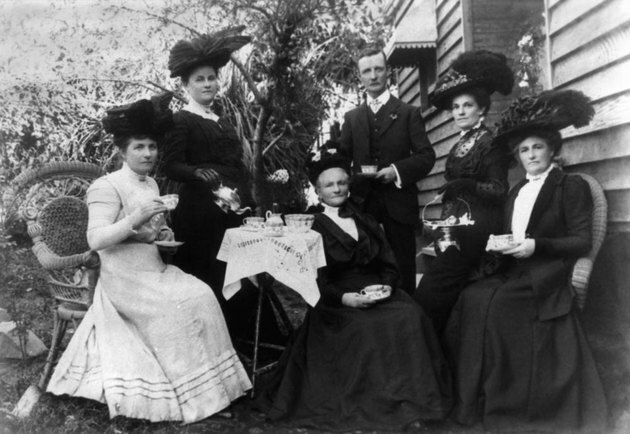 Even after the era came to an end in the early-1900s, the tea trolley remained firmly straight-laced. 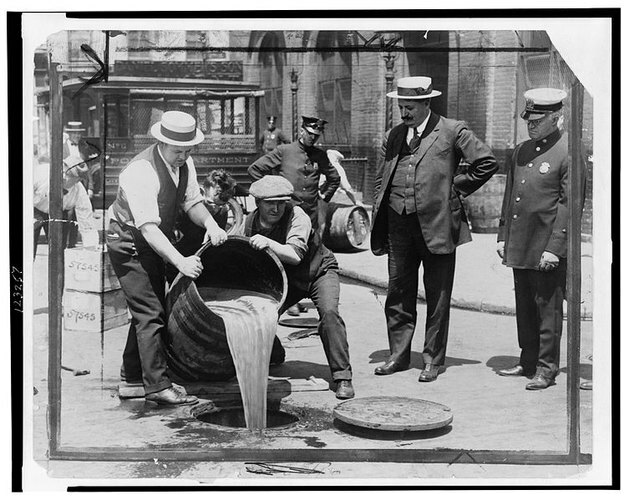 From 1920 to 1933, the United States had a constitutional ban on the production, importation, transportation, and sale of alcoholic beverages — a decidedly party-pooping period best known as the Prohibition. Thirteen years of government-enforced teetotaling gave folks ideas, however, and when Prohibition ended in 1933, the tea was tossed, the trolley fell off the wagon, and the cocktail cart was born. 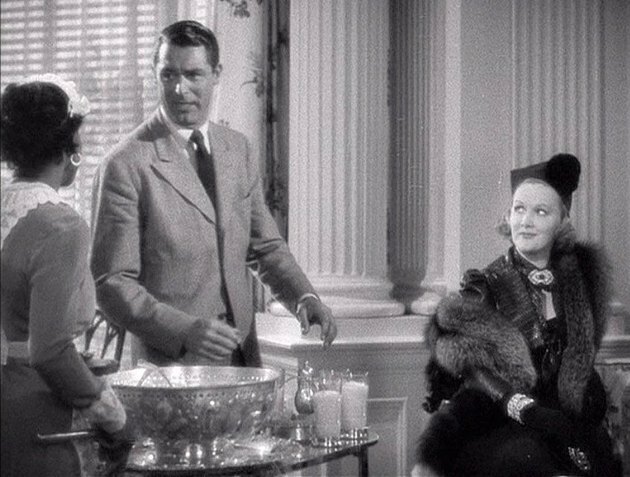 It made an appearance on the big screen in 1937, serving spiked egg nog to Cary Grant and Irene Dunn in The Awful Truth. But because of the Great Depression during the 1930s, times were tough for the vast majority of Americans and the cocktail cart was a luxury really only enjoyed by the Hollywood elite and other wealthy social circles. This continued through the 1940s and early 1950s, as hundreds of thousands of eligible men were shipped overseas to defend their country in World War II and the Korean War, bringing further hardship to already struggling American families. Finally, in 1953, the fighting came to an end, a new (if brief) era of peace and prosperity arrived, and people were really ready to celebrate. 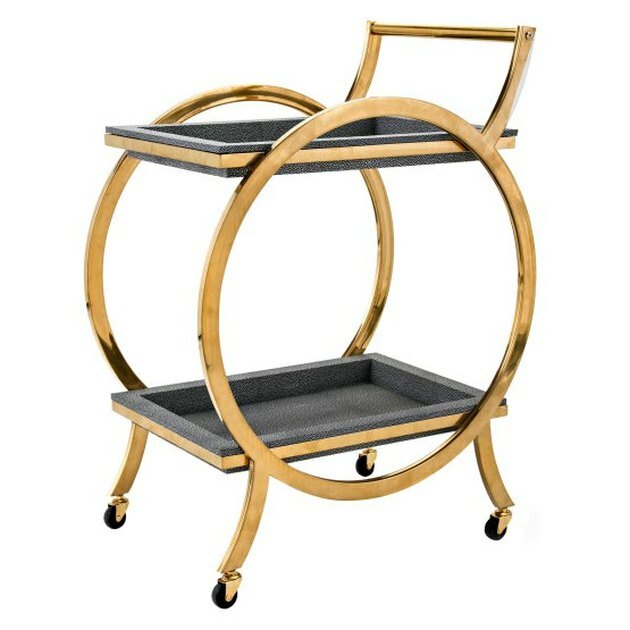 Cocktail carts reached peak popularity starting in the mid-1950s, and they were everywhere — at home, in restaurants, and at the office. "Entertaining" was a fixture of everyday life for the middle class and the cocktail cart's mobility made it easy to fix someone a drink without having to pause conversation or switch locations. 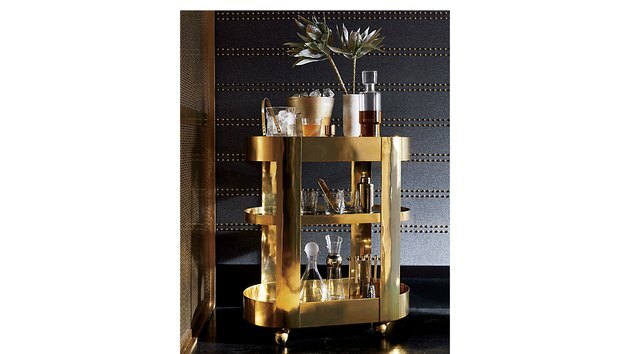 Bar carts were undeniably glamorous too, and fit right in alongside business men in tailored suits, housewives in full-skirted dresses, and bow-tied servers at high-end big-city restaurants. At the same time, there was an element of frugality that spoke to the lingering financial concerns caused by two decades of war and economic collapse. 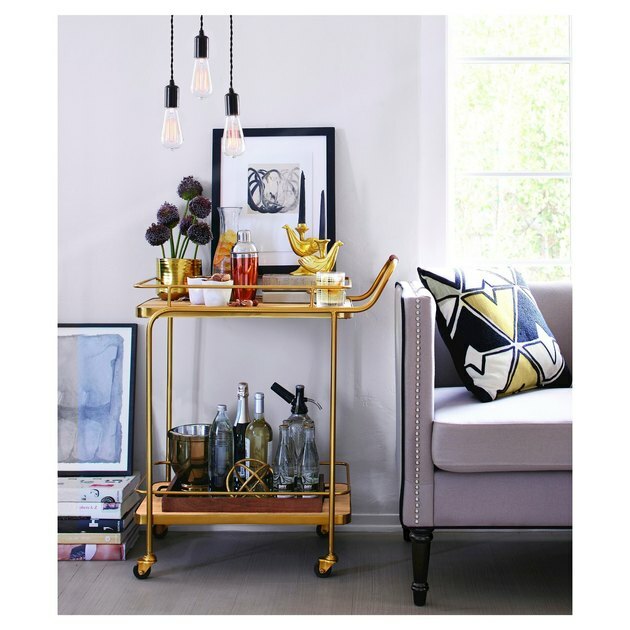 Entertaining at home or at the office from a fully stocked bar cart was decidedly cheaper than going out, after all. 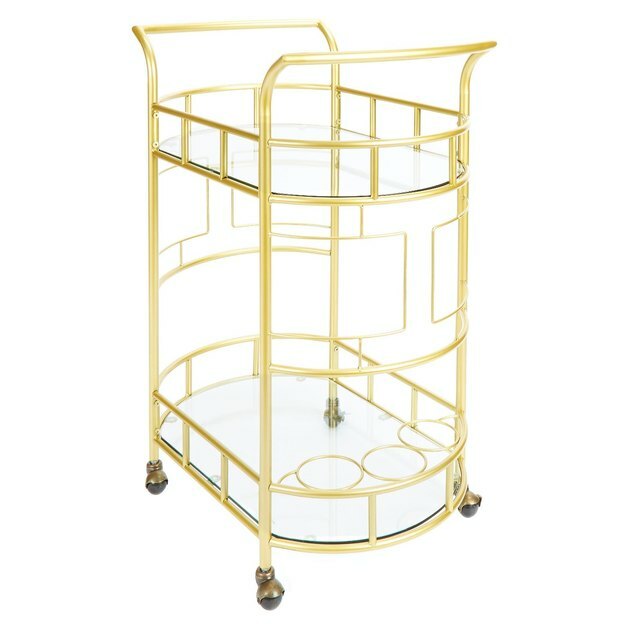 Throughout the '50s and '60s, cocktail carts were a frequent prop in movies and TV shows, including The Seven-Year Itch starring Marilyn Monroe (1955), High Society with Frank Sinatra (1956), and Auntie Mame (1958). Even now, Hollywood prop stylists know that a big- or small-screen production set during this era of American life better have at least one scene with a bar cart to be taken seriously. Mad Men didn't win all those Emmys on Jon Hamm's talent alone, you know — the ever-present cocktail cart is arguably the show's unsung home decor hero. America hasn't had another Prohibition, thank goodness, so what brought an end to the cocktail cart's reign? An even bigger bar, of course! In the free love era of the 1970s, new home owners took house parties to the next level, building permanent, built-in wet bars stocked with enough alcohol to please a crowd — and the curious tongues of more than a few sneaky teenagers. The humble, refined cocktail cart was pushed into a corner, and aside from the occasional Mai Tai served al fresco on the lanai, that's where it stayed for the better part of 25 years. Mad Men certainly deserves substantial credit for the cocktail cart's resurgence in popularity. In addition to being brilliantly written and impeccably acted, the seven-season series is arguably one of the most flawlessly styled and historically accurate shows in TV history. Everything from the fashion, accessories and hairstyles, to the music, pop culture references, and slang perfectly captured and evolved across the show's decade-long time span. But the set decoration was truly unique — and inspiring to the home decor market and its consumers. Mad Men's various sets were a tribute to the best in midcentury modern furnishings and decor — modular Knoll sofas, chairs by Lied Mobler and Poul Volther, tons of glossy walnut wood, impractical white carpet and, of course, the cocktail carts. 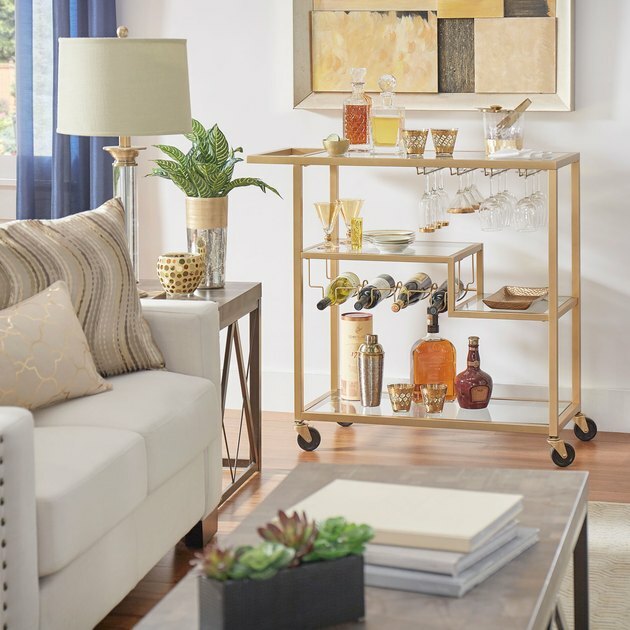 A younger generation was suddenly thirsting for the timelessly chic aesthetic, and retailers like West Elm, Room & Board, CB2, and Design Within Reach have been more than happy to provide. Mad Men ended in 2015, but the midcentury modern craze doesn't appear to be going anywhere, and neither does the cocktail cart, which can pretty much be found at every major home furnishing retailer. 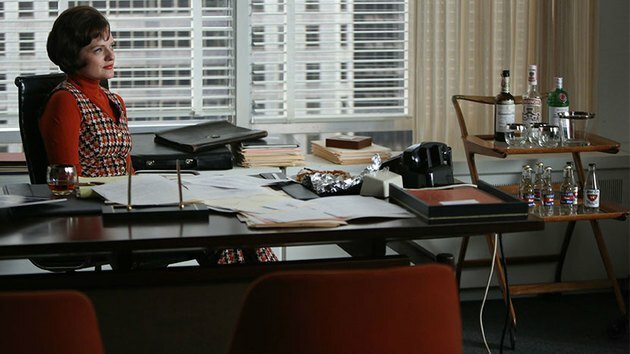 Mad Men doesn't deserve all the credit for its staying power, however. A struggling economy could also be a reason — regardless of the year, entertaining at home is a lot more affordable than drinking out on the town. At the same time, social media has fueled the aspirational lifestyle trend, which posits that pinching pennies is no excuse for sacrificing style and no reason to deny yourself the luxuries that are within your means. 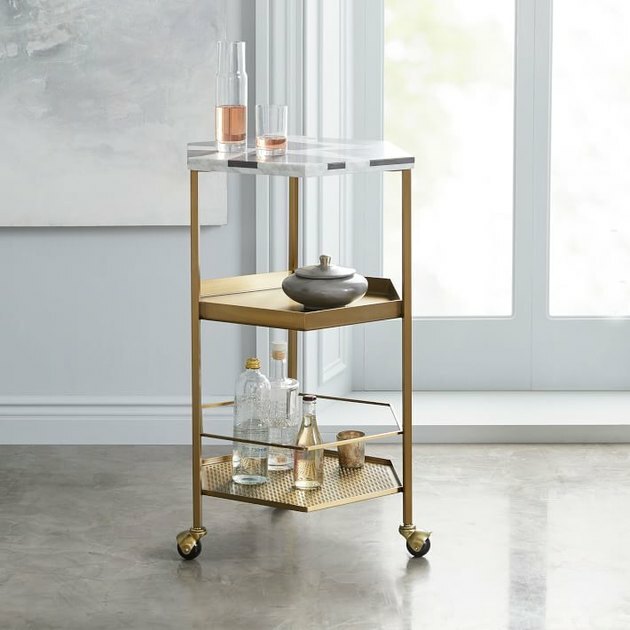 Plus, the history of the cocktail cart proves its flexibility, and the fact that it can serve so many other functions makes it extra appealing to DIY enthusiasts, organizational freaks, and folks lacking in abundant square footage. So what are you waiting for? 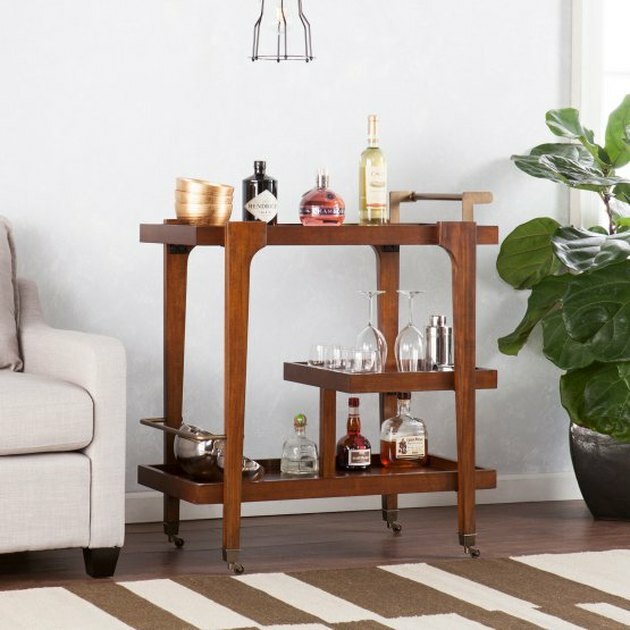 Get yourself a cocktail cart, wheel it into the living room, and fix yourself a drink to go along with every episode of Mad Men you watch. Don Draper would approve.